The Shippers Association Lagos State has said that importers and exporters may abandon goods at the ports as a result of increase in Customs duty. The President of the association, Mr Jonathan Nicol, stated this in an interview with the News Agency of Nigeria on Monday in Lagos. 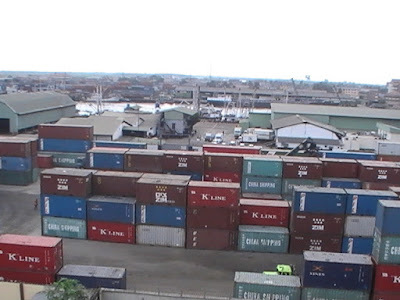 He said that the exchange rate was moved up from from N197 to N282 to a dollar, adding that this new Customs duty exchange regime had become another ‘scourge’ to shippers. According to him, it is the exchange rate on the contract document ‘the Form M’, that should be used in payment of Customs duties. “Any distortion of that figure, obviously, will add to the clearing costs and the market prices of goods. “Importers are then made to source for additional funds to meet the costs of clearance. When the costs of clearing goods go up, it will be passed to the final consumers. “This in itself is a big challenge to the shipper. Goods caught in this regime will be grossly affected. “Some (goods) will be abandoned in the ports for lack of funds,’’ Nicol told NAN. The shipper further explained that this would increase the cost of doing business in Nigeria. Nicol added that the situation could destroy import businesses expected in Nigeria. The shipper also expressed the concern that inflation in the country would increase.